Humphries Kirk is putting the finishing touches to its plans for its Business Breakfast Poundbury on Wednesday November 21. 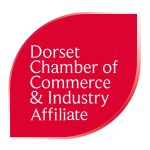 The Business Breakfast will take place at The Engine Room in Poundbury and guests are encouraged to arrive at 7.30am for an 8am start. The networking event costs £10 per person (with 50p donated to local charity at the end of the year). Those interested in attending should email b.white@hklaw.eu. Bookings close at 4pm on Friday November 16. Humphries Kirk looks forward to welcoming Sally Cooper, corporate development officer at Dorset Wildlife Trust, as guest speaker. Sally will be talking about the charity’s Corporate Community and the work that has been achieved over the last two years. Dorset and Somerset law firm Humphries Kirk promotes networking amongst local businesses and runs a successful programme of events. Humphries Kirk has offices in Bournemouth, Parkstone, Poole, Swanage, Wareham, Dorchester and Crewkerne and has an international network of lawyers. Visit www.hklaw.eu/hk-events for information about upcoming Humphries Kirk events.